Step 1 In a pan over medium heat add chorizo, lemon oil and sea urchin butter. Stir and cook for approximately 5 minutes, until a good amount of oil has formed in the pan. Step 2 Meanwhile, peel roe off the scallops and add roe to the pan. Step 3 Once chorizo has some colour, drain oil into a bowl and put the remaining chorizo mix back on the pan on high heat to crisp up and use as a garnish. Add lemon juice and sea salt to the oil and stir. 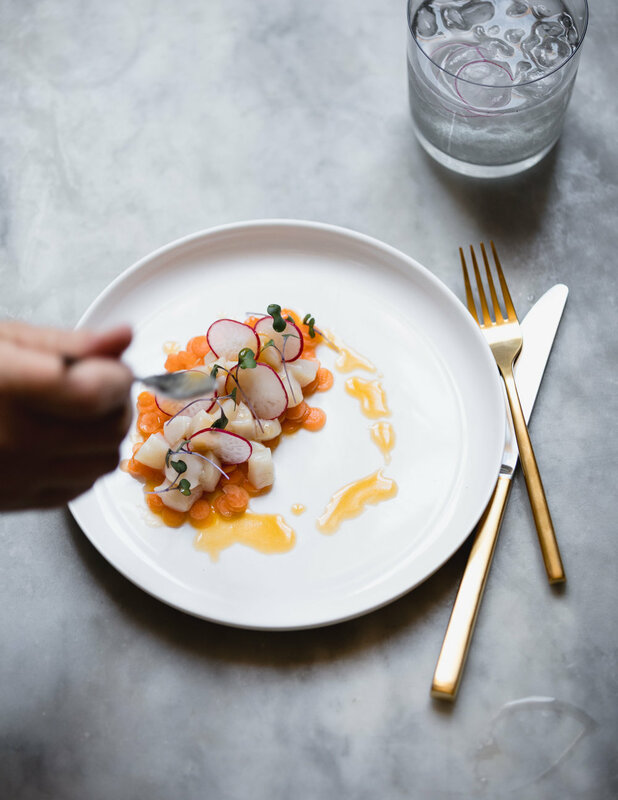 To serve, build scallops up on a plate and place sliced radish in and around the scallop meat. Drizzle with the chorizo oil, sprinkle crisp chorizo and top with dill frond.